Another 10 reps — go! Stretch farther, push harder! One! Last! Rep! You may not love that athletic trainer when you’re trying to get in that one last crunch or bench press at the end of the day, but you’ll certainly love your fitness coach when you’re crushing your athletic goals. One of the best ways to find motivation in a workout program is to actually have a personalized workout program — and that’s exactly what personal training can do for you. Not sure how to choose a personal trainer in Columbia? We’ve got you covered. 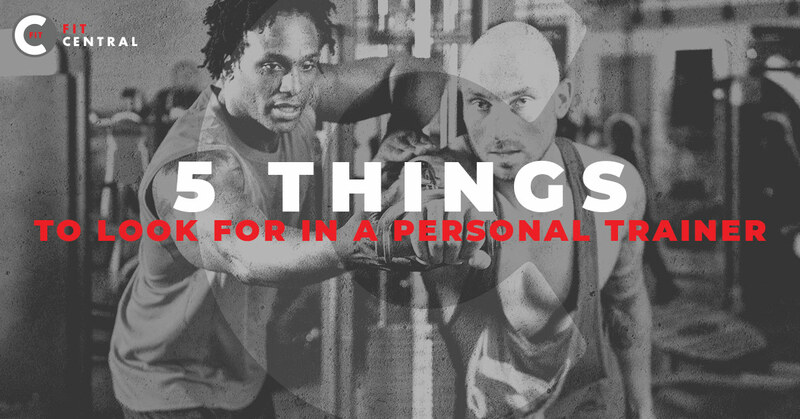 Check for these five aspects when getting into personal training, and you’ll be on your way in no time. Join Fit Central today — we offer superior personal training and your first class is free! It’s not that it’s a bad idea to choose a recently certified athletic trainer, but you’re more likely to trust in the process if you choose a personal trainer with a good track record of success. Meet with several and ask for success stories, certifications, and workout programs they use with clients. This person is your fitness coach — you want to make sure they have what it takes. An athletic trainer and personalized workout program is well worth the investment, but it’s important to make sure you’re comfortable with how much you’d pay each month or each session. Your fitness trainer can help you get in shape, but you want to take care of your financial health as well. So you’ve found the athletic trainer for you? They have experience, you get along great, and you can afford their services? If their schedule doesn’t work for you, then keep looking. Your personal training is of top concern, and you need to make sure you’re meeting together as often as your fitness program says is necessary. It’s a fact of life: the farther away the gym is, the harder it can be to motivate yourself to go. Choose a central location that works for your busy lifestyle and offers perks you’ll actually use. A gym with child care, for example, is a hot commodity and can make your personal training experience go much more smoothly. Are you ready to crush those fitness exercises and reach your goals? An athletic trainer can help you get there. They’re your personal coach and they’re with you every step of the way — mile after mile and rep after rep. At Fit Central in Columbia, we offer personal training that will help you succeed. Request your free fitness assessment today and join Fit Central.